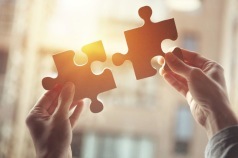 The OFFER to you as Academic USER partner. 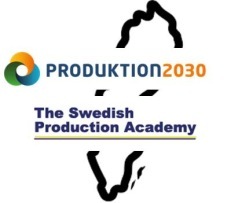 Course modules are developed by a HOST University with the support of PARTNER universities and PARTNER Industries selected by the Swedish Production Academy -13 Swedish Universities in close co-operation, and the SIP Produktion2030 to ensure the most recent and updated material and quality. All Course Module Material is Prepared for you!! The course modules consists of complete learning activities LECTURES, LABORATIONS, WORK-SHOPS, SEMINARS, HOME WORK ASSIGNMENTS and LITERATURE. All material is prepared as recorded lectures, recorded laboration movies, as well as prepared Work-Shop, Seminar and Home work assignments along with supporting documentation for the teachers. Your choice of Blended Learning "Blend"
By giving your own lectures using the prepared slides and and your own laboration facilities you or mix between your own lecturing and recorded material you can easy tailor make the corse module material to fit your indisvidual couse needs. By directly contacting the the project management we can organize direct lecturing support -physical guest lectures, laborations at HOST Universities and examination depending on availability. 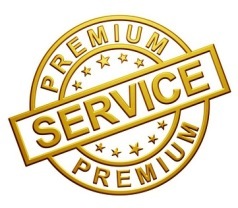 Contact premiumsupport@civing4.se for more details. Every user partner Univeristiy have different individual examination rules and course examination responsibility. 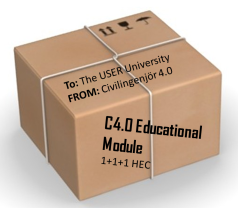 A task and question database acompanying the course module material can be used as a basis for the user Univerisitys own grading with or without completing tasks. 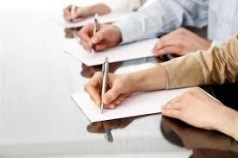 A set of additional "tips" for examiners are given for each of the sub-modules in a "Module examination MEMO" issued by the HOST University for each educational module.